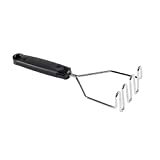 Simply Mash Potato Masher - No Pounding Required! 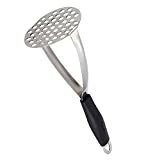 The cool new Simply Mash - Potato Masher is designed to let you simply use the palm of your hand rotating in circles to quickly and easily mash potatoes. Conventional potato mashers require you to put a little muscle into mashing those taters, but with the Simply Mash, no pounding is ever required! Just place some cooked spuds in a bowl, place the flower-shaped end of the Simply Mash over them, put the bulb handle in the palm of your hand and simply rotate it in circles until the potatoes are the perfect combination of soft and fluffy.